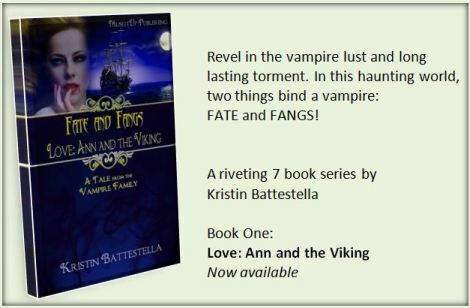 Stay under the Moonlight with the Gothic Series by Kristin Battestella! Here, There, Everywhere, Vampires Galore! My fellow fiendish friends! There's no time like the hot, sunshiny summer to stay indoors and catch up with Fate and Fangs: Tales from the Vampire Family! Up first, you can read my featured interview on Horror Addicts.net, where I have been a media writer and podcast voice for several years in addition to my articles in the Horror Addicts Guide to Life anthology. Don't want to read? Gasp! Never fear you can hear YOURS TRULY reading an excerpt of Fate and Fangs on Episode 116 of the Horror Addicts season or catch up on my latest review of Only Lovers Left Alive. Want to get in on the action here in South Jersey? Don't forget the New Jersey Authors Network will be visiting the Millville Library this Wednesday July 15 for a Teen Writing and Young Adult Authors workshop! Catch the NJAN at the A Novel Idea Bookstore again in Vineland August 8, and for some social but literary snacking, check out what's happening with the South Jersey Women Authors. Last week Radio Vision Network's Morning Coffee Talk Show also got a dose of vampire goodness with my What to Watch review segment discussing Dark Shadows, Buffy: The Vampire Slayer, Angel, Only Lovers Left Alive, Underworld, and more! Remember to tune in 10 a.m. est every Friday for our recommendations and visit the video archive for more! Horror in the Summer, Oh Yes! Greetings my Sun weary fiends! Break out the hats and sunscreen, because Yours Truly and the Horror Addicts Guide to Life anthology are afoot this Summer! Did you miss out on the fun at A Novel Idea in May? Tsk Tsk! You can see all the photos and fun on Facebook or read the round up on the South Jersey Women Authors Blog. But never fear! Fellow writers, readers, and horror compatriots can catch up with us as part of the New Jersey Author Network's panel series at the A Novel Idea Bookstore inside the Landis Marketplace in Vineland June 27 and August 8. Our first workshop will be "I've Finished My First Draft, Now What?" followed by the "Which Publication Route is Right for You?" panel. Mark your calendars the 3rd Annual Autumn Authors Fair will also return to A Novel Idea this November! What to do in July, you say? Well, well, the NJAN will be talking YA at the Millville Library July 15. If you write for young adults or if you are a younger teen writer yourself, then this is the workshop for you! I promise I'll try not to be so scary for the young folk, honest! This heat is making me dizzy! Hello my Vampy peeps! 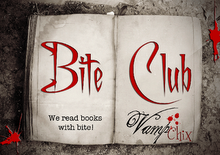 Ignore the sunshine and join The Vampire Family and the Horror Addicts Guide to Life as we celebrate the newly renovated and expanded A Novel Idea Bookstore in Vineland! Come out and see us alongside more local authors from the New Jersey Authors Network, South Jersey Women Authors, and South Jersey Writers Group Saturday May 30! Say goodbye to the old A Novel Idea and see the full lineup of authors on the GRAND RE-OPENING AUTHOR PARTY PAGE! Looking for even more writing workshops in South Jersey? The NJAN will be back at the Landis Marketplace June 27 for a Publishing Panel before heading down to the Millville Library July 15 for a Young Adult Writing Workshop! Need your horror fix for the summer? Remember the Horror Addicts Guide to Life anthology will be available at all these events and more come the Fall! For more information, join the gang on Facebook to stay up to date! Horror Addicts Guide to Life is HERE!!! Fellow fans of the horror genre, the HorrorAddicts.net's Horror Addicts Guide to Life anthology is Available NOW!!! Remember, several reviews, lists, and articles from Yours Truly are among the ghoulish goodies here! For more information, visit Horror Addicts.net or join the gang on Facebook to stay up to date on all our summer events and appearances! After my Radiovision interview next week, we're going to celebrate with the A Novel Idea Bookstore in Vineland this May! Winter hibernation is over and it is time to celebrate Spring in scary fashion!! To start our 2015 event season, how about a new anthology to whet your thirsty appetites? The Horror Addicts Guide to Life anthology is coming this April, featuring several articles from myself in addition to more insights from the fiendish friends and family at Horror Addicts.net!! Follow the latest at Horror Addicts.net or join the Addicts team on Facebook! Looking for just reviews, interviews, articles, and essays from Yours Truly? Bookmark the Kbatz tag, and don't forget you can listen to the upcoming podcast season for more! Not a listener? You would rather see me and Fate and Fangs: Tales from the Vampire Family? We're penciled in to visit with Stefani Milan and the new Radiovision authors program April 15! Keep up to date on all our summer panels with the New Jersey Authors Network, socials with the South Jersey Women Authors, and more book festivals and scary events at our Facebook page! Don't forget there are thus far only TWO more opportunities to see Yours Truly in 2014! Join me THIS SATURDAY and kick your NaNoWriMo off *write* with the Inside the Toy Box Workshop 1 p.m. Saturday November 1!!! Come out and see how to use Everyday Things to Inspire Character Personality, Create Literary Depth, and Top Off Your Novel! Be prepared to let your hair down, play with props, and see everyday things thru your character's eyes in this informative and interactive session! By getting in touch with your manuscript's needs via physical objects, you can create more depth, dimension, personality, and emotional connections with your characters and readers. Learn how to finalize your novel with sights, sounds, feelings, and sensations and see your literary world in a whole new light! Following the workshop will be a write in session, so feel free to bring your laptop, connect to our free WiFi and stay awhile! Fate and Fangs is ending the year as we started - the Inside The Toy Box workshop was also done way back in January with the South Jersey Writers Group. You can read up the great follow up post on their blog. Getting your NaNoWriMo on elsewhere the first weekend of the month? Never fear! You can can get your autographed copy of The Vampire Family at the 2nd annual Autumn Authors Fair November 8! The New Jersey Authors Network is again sponsoring this gathering of local Authors in Vineland at the A Novel Idea Bookstore. You can see all the pictures from last year on the 2014 Facebook event page! Limited Quantities Available Now so See You Soon! 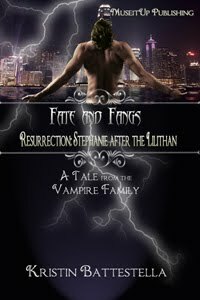 FATE and FANGS Book 7: RESURRECTION The Series Finale is AVAILABLE NOW! 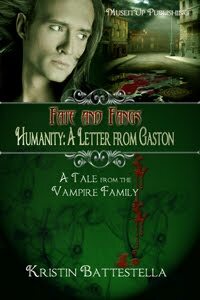 FATE and FANGS Book 6: Humanity Face Yours TODAY! 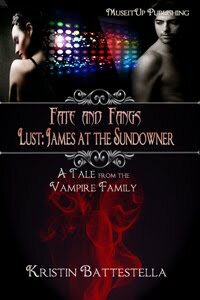 FATE and FANGS Book 5: LUST It Can Be Yours TONIGHT! 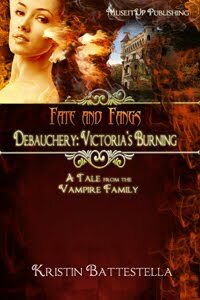 FATE and FANGS Book 4: Debauchery NOW AVAILABLE!! 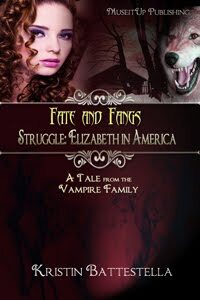 FATE and FANGS Book 3: Struggle SHOP TONIGHT! 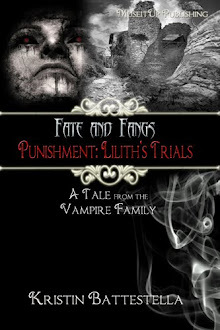 FATE and FANGS 2: Punishment KINDLE ONLY $.99 CENTS!! 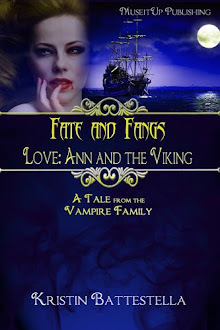 FATE and FANGS Book 1: Love EBOOK ON SALE NOW!! 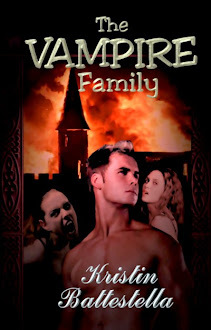 THE VAMPIRE FAMILY Available in Ebook Paperback and Kindle! Welcome to The Vampire Family at Blogspot! Here you'll find the latest news about The Vampire Family-including appearances, reviews, and more! Visit our publisher Eternal Press for ordering information. You can also shop at Fictionwise or Amazon for your paperback copy! FANG and FANGS, our seven book sequel series, is going strong in 2012! Visit our publisher Muse It Up for the latest news, features, and more! There's Love, Punishment, Struggle, Debauchery, Lust, Humanity, and Resurrection- but two things will always bind a vampire: FATE and FANGS! Join The Kristin Battestella Yahoo Group! Search The Web for The Vampire Family!